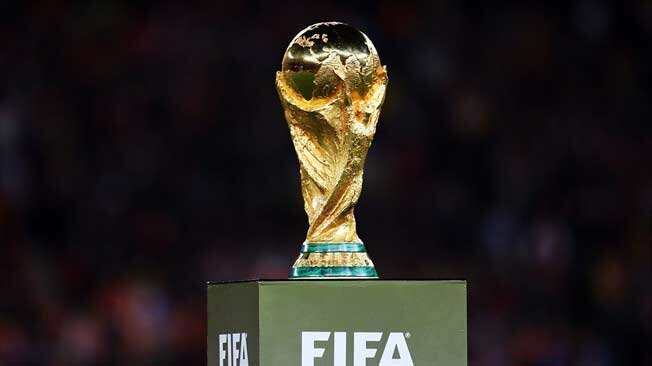 Thailand, Indonesia and Vietnam are set to launch a bid to joint host the 2034 FIFA World Cup, according to reports. Speaking at an event held on June 16, Fifa Executive Committee member Tengku Abdullah Sultan Ahmad Shah spoke positively of the possibility of ASEAN nations co hosting the tournament. "The opportunity for us (Asean) to bid conceivably has its strengths because three to four countries can share, as what USA, Mexico and Canada did to win the bid and become the 2026 host. In fact the time has come for countries in the Asean region to be given the opportunity. In this regard, we hope the infrastructure and strength of Asean's football teams would have been consolidated by then”, he told the Straits Times. “We have 16 years, which should be sufficient,” he added. Malaysia has also been earmarked as a potential joint host. Last week FIFA announced that the US, Canada and Mexico will jointly host the 2026 World Cup. This isn’t the first time an ASEAN bid to host the 2034 World Cup has been mooted. Last year, it was reported that Thailand, Indonesia and Myanmar would pool resources and bid to host the tournament. Singapore was also reported to be interested in joining a consortium to host the tournament. South Korea and Japan remain the only Asian nations to host the World Cup, holding the event in 2002, while Qatar is scheduled to host the 2022 tournament. While the ASEAN region has some experience of hosting international football tournaments, clearly none on the scale of the World Cup. In 1997 Malaysia hosted the Under 20 World Cup, while Thailand, Malaysia, Indonesia and Vietnam co-hosted the 2007 AFC Asian Cup. It is understood the deadline to submit bids to host the 2034 World Cup is 2026. Well I suppose that’s one way to get your team in. There's never been a lack of ambition in this country. Could you imagine the carnage if Thailand did host one. "Fifa Executive Committee member Tengku Abdullah Sultan Ahmad Shah spoke positively of the possibility of ASEAN nations co hosting the tournament." First, Thailand would have to build a number of stadiums to hold the games. I don't believe there is enough bamboo in se Asia that would supply enough material for the scaffolding. Then, there's the transportation problem. All those taxis and minivans heading to the same destination at the same time. It would break Songkran's record for fatalities in the first 5 minutes....and that would be in only one city. That's if the passengers can bargain down from the initial 2,000 baht fare, or get the drivers to put on the meters. Would be incredible but i don't even think 16 years is adequate time to get the infrastructure in place in any of the countries mentioned. Is that stadium in Nongjok for the 2012 FIFA Futsal World Cup ready yet? "Thai Police Crackdown On Football Gambling"
Thailand is always worth a good laugh. The crazy thing about 16 years from now is the players are still sucking on the dummy. Not being a fan of football, I think it would be a great idea for Thailand to take a major role. Nothing like first-hand learning. Thailand would never ever get anything else after that. Thailand and Myanmar... yep, that'll work alright.